UK-based household and technology ‘reinvention’ brand Dyson will open its first freestanding Canadian ‘Dyson Demo’ store this fall at Toronto’s Yorkdale Shopping Centre. It's the latest brand to open its own stores, and Yorkdale is taking the lead when it comes to such retailers. 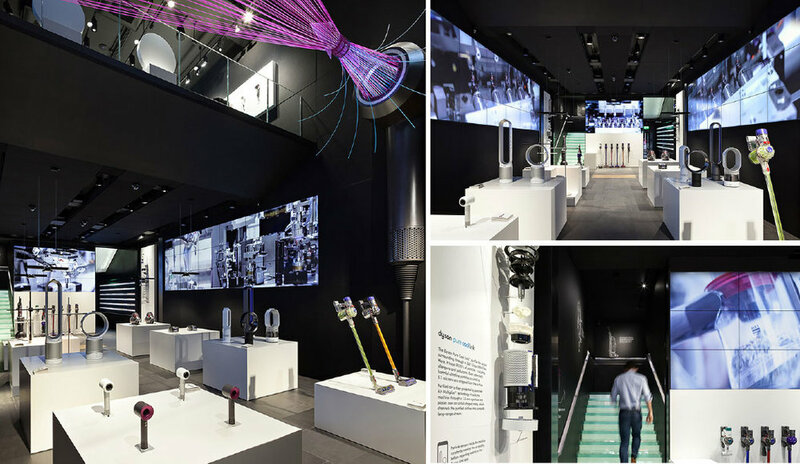 Dyson’s Demo stores showcase the brand’s reinvented products — Dyson aims to innovate with sleek design and optimum functionality. Products include Dyson’s new supersonic hairdryer, air purifiers, commercial hand dryers and a robot vacuum. Dyson even sells LED lighting which was created by Sir James Dyson’s son, Jake. Dyson will replace The Diamond Company, which recently vacated its 1700 square foot Yorkdale space in between the mall’s Nespresso and Freedom Mobile locations. Dyson’s first store in the world opened in Tokyo in the spring of 2015, followed by locations in Paris, Moscow, Jakarta and London. Locations will soon open in Glasgow Scotland (Buchanan Street), San Francisco (Geary Street on Union Square) and at 640 5th Avenue in New York City. Dyson’s Manhattan store is reportedly paying $3,250/square foot annually to lease its 3,167 square foot space at 640 Fifth Avenue, representing more than 10x the rent per square foot for its new Yorkdale space (which is about half the size of the Manhattan flagship). Dyson was reportedly seeking a heavily trafficked area with "tourists and luxe residents” — something that could also be said for Yorkdale as well as the location of its new San Francisco and Glasgow units. More brands are launching stores through Yorkdale than any place in Canada. There are numerous examples — Canada Goose opened its first store in the world at Yorkdale in October of 2016, and Richemont Group recently opened five luxury jewellery/watch boutiques at the centre. This fall, Canada’s first standalone locations for brands Hunter, Moose Knuckles and a French aspirational luxury brand (to be announced) will also open at Yorkdale. In fact, there is no single place in Canada that launches more first-to-Canada retailers than Yorkdale, and more retailers will be announced with the unveiling of its latest westward expansion in several months, that will be anchored by RH (Restoration Hardware) and Sporting Life. *Top photo is of the Tokyo Demo centre, courtesy of Dyson.